Search Engine Optimization is the strategy that keeps your online presence performing highly in search engine rankings. To accomplish this, we use our rich understanding of how to optimize your website and online content so that it ranks well within current Google algorithms. In addition to optimization, we can help you manage and link all your social and directory activity so that your website benefits from that activity! We are also excited to offer you blogging solutions that will boost your organic results. The core of what we offer is completely organic (meaning we’re not artificially improving your Search Engine Ranking with pay-per-click advertising), so everything we do for your site is sustainable and continues to improve your Search Engine Ranking because your site contains relevant content, clean coding, and ethical resources! 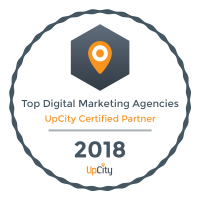 Of course, we can help you manage your pay-per-click ads, but instead of simply relying on them for your visibility we make them part of a robust strategy for success. We also specialize in managing your social media presence. Well-maintained social media provides incredible value to your SEO, and we can help you reap those rewards more effectively to send your online presence into orbit!